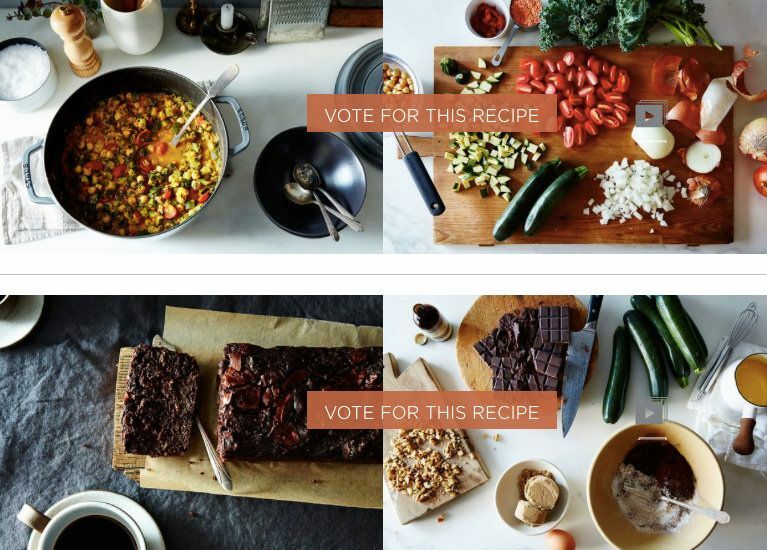 The finalists are in and we want to know—which recipe is your pick for Your Best Recipe with Zucchini or Summer Squash? We've tested and tasted our way through the recipes for Your Best Recipe with Zucchini or Summer Squash, and have emerged with two promising finalists: Dark Chocolate and Walnut Zucchini Bread from Thalia and Thai Summer Squash Curry from Alexandra Dawson. Here's where you come in: We want to know which finalist will win your vote. Head over to the contest page, and cast your vote!